Contact SAFE Bunbury at SAFE Bunbury (Saving Animals From Euthanasia) to express your interest. Another successful adoption - amazing work SAFE Bunbury (Saving Animals From Euthanasia)! More successful adoptions - amazing work SAFE Bunbury (Saving Animals From Euthanasia)! REDUCED TO $112 - April 1st, 2nd & 3rd only. Buster - a companion for even the most fussiest of cat lovers! Buster is extremely gentle and does not bite or scratch. He is quite content most of the time to snooze on his bed, but will happily follow you around if you call him. He loves to roll over and have his belly rubbed. He purrs most of the time when you show him some affection and will also 'talk' to you. He is confident and curious, but not highly energetic (so no mad running around the house!) - he would suit an elderly person as he doesn't get under your feet either. He will smooch with you at night; he loves bedtime cuddles and then he's happy to be put to bed in a separate room where he remains quiet until morning. 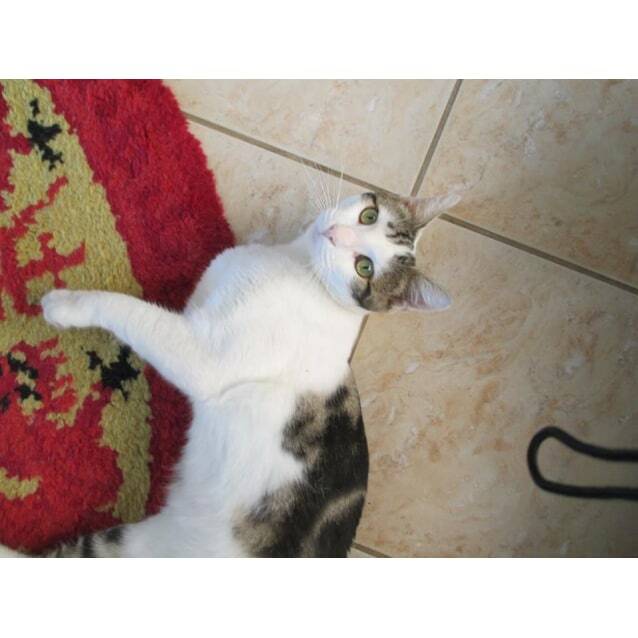 Buster is totally house trained and will always go in his litter box, and he keeps it pretty clean too! He doesn't jump on the couches and counter tops, but he will jump on your lap if invited. 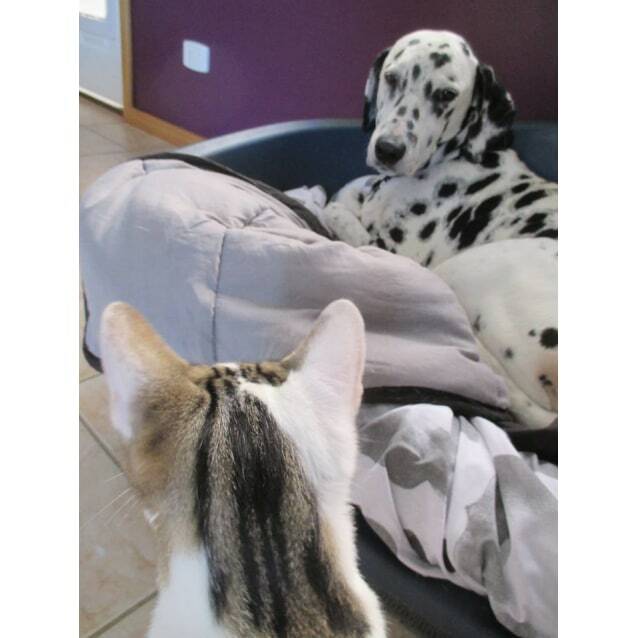 He is very chilled and relaxed around his foster carer's big Dalmatian; they are becoming friends, so a home with a dog should not be a problem with proper introductions. 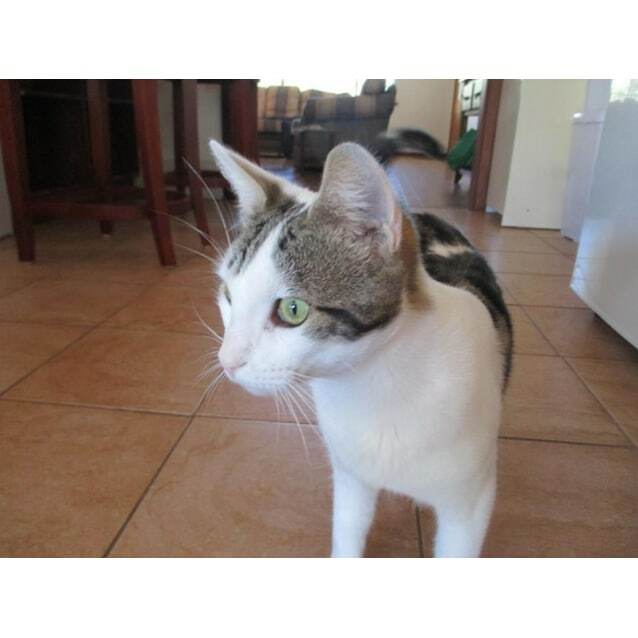 He is also good with other cats and so far has been tested around kittens showing very good behaviour towards them. 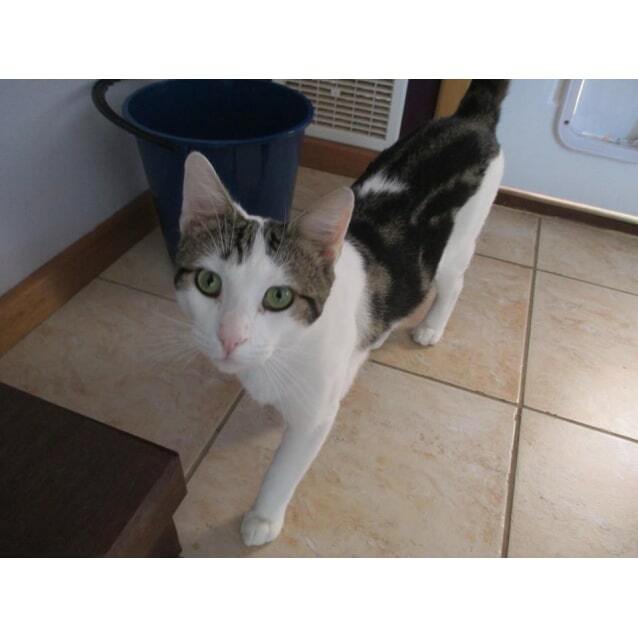 Buster has beautiful big green eyes and a gorgeous long tail that sweeps to the floor behind him. 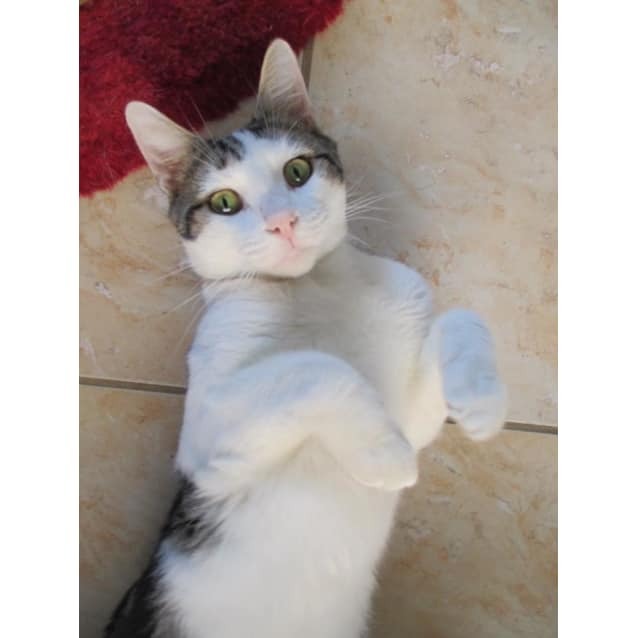 He is quite a tolerant cat who doesn't mind being handled, so a family is likely to suit him too. 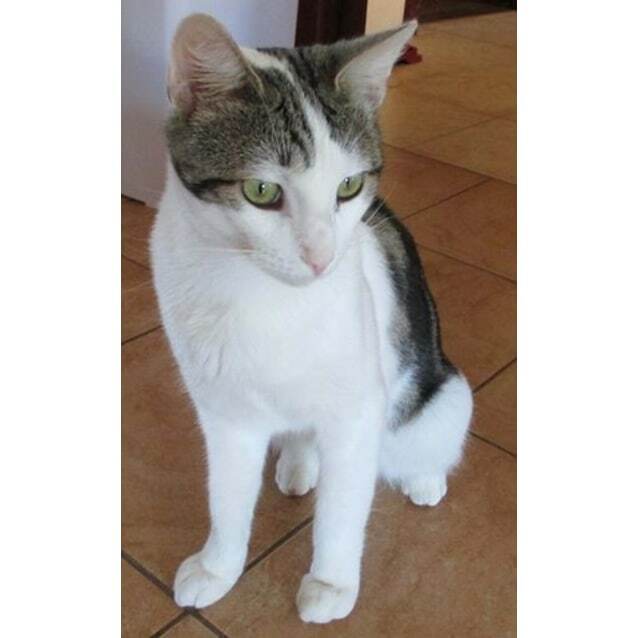 There is nothing negative to say about this cat at all - he would make a great companion as he is so easy to care for and is happy to stay inside with his human family. Buster is currently in foster care with one of our dog foster carers - she tells us she is more of a dog person by heart, but Buster has won her around to loving him just as much as any dog, and if he can do this to her, he is sure to win your heart too! 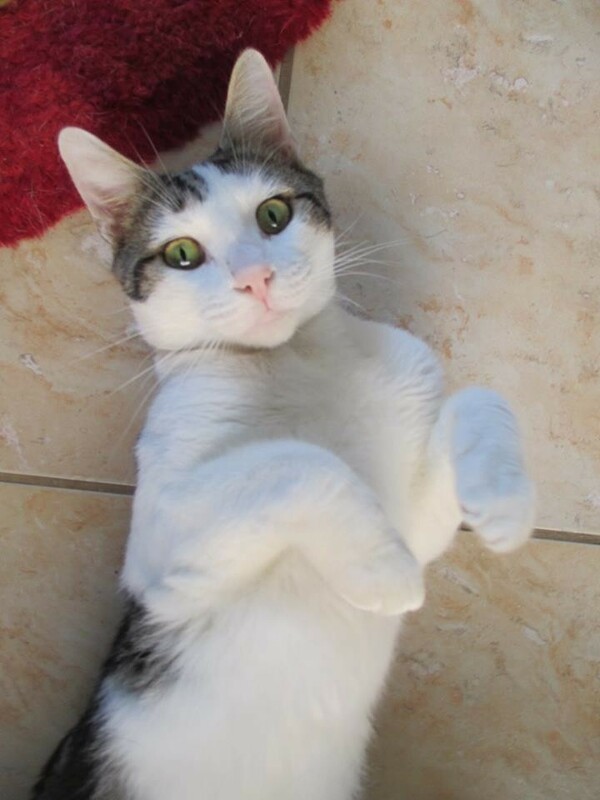 All that Buster needs now is to find his permanent home and he will be the purrrfect pet! Please send through an enquiry if you would like to meet him. Adoption fee includes vet check, 1 x F3 vaccination, flea & worm treatment, microchip, microchip change of ownership transfer and sterilisation. For an obligation-free meet and greet, please contact us on the details provided. Our adoption process includes a two week trial period to ensure your chosen pet is the right fit for your home. All adoption fees must be deposited into our SAFE Bunbury bank account in full before adoption trial starts. Please speak to the foster carer for our bank details (we cannot accept cash). SAFE Bunbury will arrange transfer of ownership on your pet's microchip from SAFE's details to yours once the trial period is completed.